This month we feature the work of the very talented Pat Harvey. We take in the the new play ‘Girl from the North Country’ with its Dylan associations. Some new religious music gets attention. This is the 500th anniversary of the Reformation and we list many of the books and articles that have so far been published in the hope it might help in some way! I have always been a person of parts. I do not mean an actor; or the fact that I have arms, a nose and legs; but, that my loves, passions and interests have always been many. I blame my parents for this, given that my father was a frustrated journalist, and my mother a painter. The whole mix is complicated by having French blood on both sides. My great-great (x?) 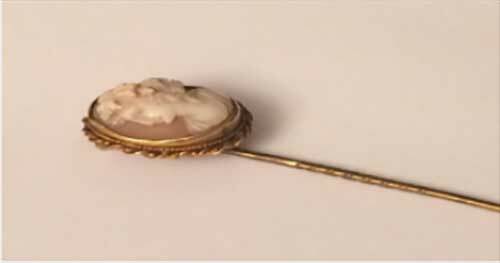 grandfather, Monsieur Carette, fled France at the time of the Paris Commune in 1871 (I still have his tie-pin); my father’s family (my maiden name “Bletcher” is from ‘Blecher’, with an accent) were Huguenots. What chance did I stand? I was determined to excel at French from the day I set foot in grammar school, and such proved to be the case. I studied French at Sussex University, eventually teaching it, and becoming a television producer specialising in it. 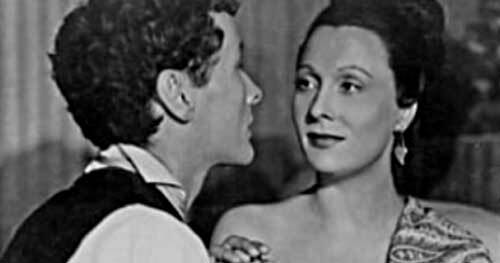 This started when, age 17, I saw Les Enfants du Paradis (Children of the Gods), the great 1945 black-and-white movie directed by Marcel Carne, described by some as ‘the greatest French film ever made’. A few years later, whilst working as a holiday relief assistant film editor at the BBC, I intercepted Alan Yentob on the stairs and pitched him the idea of a programme about Carne for Arena, the BBC’s premier arts slot at the time. 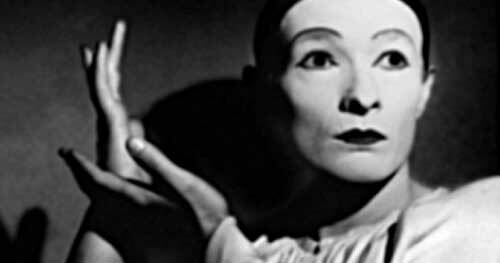 I got to interview Jean-Louis Barrault, the actor who plays the white-faced Pierrot in the film, who, in response to my entreaty, gazed lovingly into my eyes and muttered the word “Garance!” (the name of the actress played by Arletty). producing records and television programmes. In 1996 we met Melvyn Bragg, who commissioned us to produce one of the the first British television documentaries on the subject, Hear My Chanson, starring Juliette Greco and Charles Aznavour. At the same time, Ralph continued his long-running career as a compiler of ‘the French repertoire’ for EMI and other companies, producing albums featuring the likes of Charles Trenet, Yves Montand and Edith Piaf; and the accordion, for which he had a passion; for all of which I did the cover illustrations. Following Ralph’s death in 2014, I was determined to continue his legacy by promoting and celebrating French ‘chanson’. Fortunately, I was assisted in this by Helene Hazera, a leading French music journalist and broadcaster, who suggested the subject of my blog: Chanson and Immigration in France (patkayharvey.wordpress.com), now on its 17th post. My desire is to turn this into another television programme, or book – preferably both. Most of these can be bought as cards in packs of 5 (£10 + postage); any images of your choice. Please email me at patkayharvey@talktalk.net, or call 020 3643 6227. Or singly (£2.50) in person! They are blank inside. I am about to increase the range; so watch this space! I am also an Adult Art Tutor, with many years’ experience in West Sussex, before I moved back to London last year. So far, unfortunately, I have not been able to continue this practice in Twickenham, as my lease forbids it.If anyone has any ideas, I will be happy to hear them! Yes, screenwriter! What do you mean, “But, you have not written 69 episodes of EastEnders; nor done an MA in Screenwriting; nor hung out in Hollywood”. No. But, shortly before his death, Ralph gave me his last Christmas present: the biography of a well-known British composer. No names; no pack-drill. Suffice to say, I read the book and was mesmerised. I could already see it on the screen. And – it has never been done! I am a writer. I have written art journalism, as well as my blog. But a screenplay? That is a different bouillon de poisson (as they say). Should I call upon someone more experienced? Well, maybe. But later. Currently, after months of research, and having mastered the basics by reading some key texts on the craft of screenwriting, I am enjoying producing the notorious “first draft”: that precious document which is destined to end up as an unrecognisable shadow of its original self. I am excited. I am nervous. I am passionate. ROB MURDOCH, one of Crisis Magazine’s Bob Dylan Correspondents has been to see the London Old Vic production of Conor McPherson’s Girl From The North Country…what did he make of it? Let’s start with what it’s not. It’s not ‘the Bob Dylan musical’ in the vein of the recent Queen ‘We Will Rock You’ show. It’s not Dylan’s greatest hits set against a dramatic backdrop, although it does contain a few of his best-known songs. In the words of the work’s writer, Conor McPherson, it’s ‘a production with music’, a ‘conversation between the story and Dylan’s songs’. 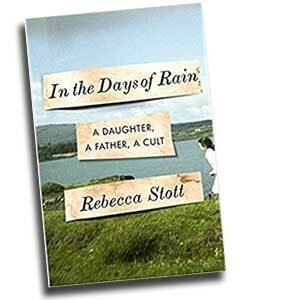 Allow this reviewer to re-phrase it in his way : it’s an overlapping collage of individual vignettes, short stories set in Depression-era America, very much in the humanist vein of John Steinbeck. The songs reflect the circumstances of the times, and the circumstances of the characters portrayed. It’s a high hurdle to get over. Generally speaking, for me, nobody sings Dylan as well as Dylan. There are a very few honourable exceptions. The Grateful Dead’s Postcards of the Hanging’ is a terrific album, although more for Jerry Garcia’s guitar sound and arrangements than the vocals. And The Band, Julie Driscoll, and even Joan Baez, had a decent crack at it. Hendrix of course. But more often than not Dylan defeats those who seek to emulate or pay tribute to him. But in this production it does work, remarkably successfully. From the opening ‘Sweetheart Like You’ from Infidels , through ‘You Ain’t Goin’ Nowhere’ from The Basement Tapes, ‘Slow Train Coming’, and ‘Hurricane’ from Desire, the songs provide a backdrop to the hope, despair, or simply the understanding of harsh reality, which the characters are going through. It works very largely because the arrangers and performers don’t try to copy Dylan. The songs are presented in fresh and different ways by a group of talented people, and the lyrics clearly shown to be what they are: beautifully written and soulful descriptions of life, or aspects of it. Those were hard times, and if there is an overarching theme it could be : you do what you can to get by. Nick Laine’s down at heel rooming house provides a degree of shelter for his family, and for the handful of drifters who find temporary refuge there. But it’s an edifice which is creaking at the seams. Nick owes the bank more than he will ever be able to repay. His wife has lost her mind, his adopted daughter is pregnant with no father to be seen, and his son is a wastrel. Nick’s hopes rest on his lover and her hopes for a windfall from her late husband’s estate. We know it’s just not going to work out. And it doesn’t. Overall, you don’t have to be a Dylan fan to enjoy this production. But if you are, the way Dylan’s songs are presented and performed will be a plus factor. I didn’t expect to say that, and I’m delighted that I can! In the general music beyond the magazine Shindig this August focused on the glorious group The Byrds. While not a “Christian “ band they none-the-less recorded some powerful religious numbers. “The Christian Life” can be found on the 1968 album Sweetheart of the Rodeo,” as also ‘I Am A Pilgrim” and both can be caught on YouTube. There is an infectious version of “Jesus is Just Alright” (album: Ballad Of Easy Rider, and a fetching reading of “Turn! Turn! Turn! from the biblical book Ecclesiastes 3:1-8.. Again there is a YouTube source and the songs still have an attractive feel many years on, the same is not true of the clothes that can be seen. Byrds member Roger McGuinn, lead singer and lead guitarist on many recordings with his 12-string Rickenbacker has been credited with a Christian experience. Their vocal harmonies and catchy country rock still sound appealing. In the Seventies McGuinn recorded some solo sets including “Peace on You” – the title from a song by Charlie Rich. While a member of the Republican party he refused to endorse Donald Trump. Elvis re-issues continue with of course the latest release bouncing of the fact that amazingly it is 40 years since his passing on August 16, 1977 in Memphis. 50 Greatest Hits has none of his religious recordings unless you let ‘Crying In The Chapel” be a bona fide religious song. His religious albums started with His Hand In Mine before his 28th studio set How Great Thou Art. YouTube has his “Greatest Gospel Songs” and no less than 79 can be heard, but unless I am missing something the list does not include his Christmas recordings and which have a beauty of their own. 13 albums of religious material is available via Amazon, with some astonishingly low prices asked. His ‘Elvis” Christmas album of 1957 sold in excess of 20 million copies. 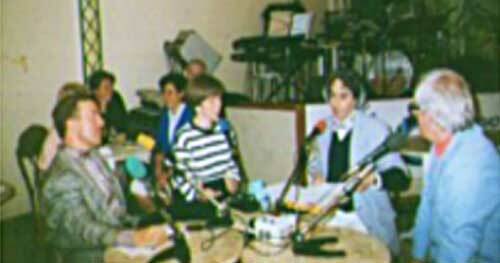 Presley had a Christian church upbringing, and it is said he always kept a Bible close to him. Integrity issue an EP from Alisa Turner that is self-titled. She has a beautiful voice, deep and husky. Its a rather lovely short set of songs, with some of the lyrics from the book of Psalms. Why the Old Testament treasure trove? 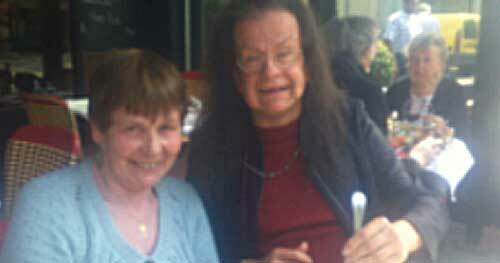 Simply because the spirit and energy of that extraordinary collection runs with many of her life experiences. She has every reason to shout faith-doubt since hospitalisations are frequent. She battles with the debilitating effects of Lyme Disease, her father died unexpectedly, and arguably even more life sapping her infant son passed on a few moments after he was born. One way of coping comes from playing the piano, and so she can say: “When I sit at the piano He always uses it to draw me back, to awaken the dreamer, and I always leave different than when I came.” She talks of her life and story as “messy” and speaks of days when all she can do is to “keep lifting up my hands in desperation and in worship.” Her piano is evident throughout, sometimes as in ‘Psalm 13’ to bring us into the song. Strings are also prominent, perhaps the songs a little samey, but it’s an effective release. City Church, Coventry, is the church base of Dave Palmer. Enthroned is the title of his debut album (150 Media Ltd). The songwriter and worship leader sings his way through material that is very much orientated in its lyrics toward the believer. At times he is joined by vocalists Lisa Bayliss and Matt Richley. He says he first thought he would make a ‘live’ worship event recording but decided in the end to produce a studio set, and the latter choice enables him to lay down catchy song intros, as well as more effectively utilise what the “Desk” can offer. Some of the material, such as the catchy ‘The Empty Tomb’ could well find general recognition in the praise world. Lisa comes to the forefront in the piano driven ‘My Heart Will Sing’ – a track that gains from utilising a choir, and arguably while good it has potential unrealised. It’s one of those songs that needed maybe the “Gospel’ flourish – something that lifts and lifts. She gets another outing on the eighth track, ‘How 0verwhelmingly.’ Here is another ‘slowish’ composition with vocal clear against sympathetic piano before she is joined, and then just over two minutes in the sound thickens and it becomes a sturdy powerful ballad that is passionately and strikingly delivered, and you can shout a “yes!” ‘0ur One Desire’ is the ‘big’ production affair, that runs for over five minutes, has the much emphasized repeated line “show us Your glory’ pushed by potent drum work and some rock riffing. ‘Show Us Your Wonders’ is another very obvious studio number and has a catchy beat. The last track ‘See Him There’ comes with an initial engaging music intro before becoming an ‘all join in’ vocal “praise” party. This sturdy number talks of the “Sovereign God’ and from that the lyric declares “you are worthy of all praise.” At the end there is a strong shout of “hallelujah’! The CD is available by contacting Dave on his new website www.davepalmermusic.co.uk. This first appeared in the Methodist Record review section. HERE I STAND: REPORT. 2.700 AT WESTMINSTER CHAPEL. FEBRUARY 2017. DR. MARTYN LLOYD-JONES. EVANGELICAL TIMES P.5. LAW AND GOSPEL: JOHN J.MURRAY. EVANGELICAL TIMES. AUGUST 2016. P10. MARTIN LUTHER CATHOLIC DISSIDENT. :PETER STANFORD. (HODDER). PROTESTANTS ALEC BRIE (WILLAM COLLINS). REFORMATION ANGST: LUCY WOODING. LITERARY REVIEW: MAY 2017. P7. SPIRITUAL EXPERIENCE OF MARTIN LUTHER: GESA. THIESSEN. REALITY MAGAZINE, JANUARY/FEBRUARY 2017. P 23. THE REFORMATION: WHAT DOES IT MEAN TODAY? : DAVID CORNICK, SAVI HENSMAN.TINA BEATTIE, ANDREW FRANCS. REFORM MAGAZINE. MARCH 2017. P21F. THE REFOMATION: CANON ALAN BASHFORTH.TRURO CATHEDRAL NEWS. SEPTEMBER – NOVEMBER P4. THE TWO MARTINS: A PLAY BY TONY JASPER 2005. WINDOWS INTO THE REFORMATION, REVD CANON DAVI MILLER.TRURO CATHEDRAL NEWS. SEPTEMBER-NOVEMBER. P 5. 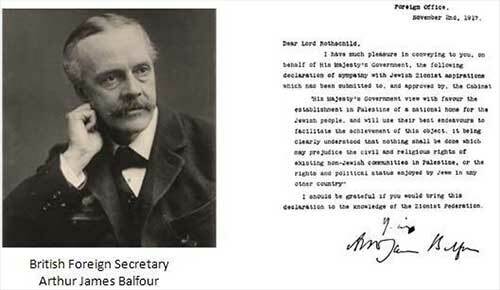 On November 2nd it will be a hundred years since the Balfour Declaration. This document has had huge significance and cast a long shadow over those one hundred years. It reflects the imperialism of a Britain that still had an empire, and the amazing way in which Britain was happy to give away part of someone else’s land without conferring with the people themselves. Today’s British government has said it is proud that this has been achieved and they want to encourage celebration. But there is a rather large problem – a very big elephant in the room - the next section of the Declaration goes on, “It being clearly understood that nothing shall be done which may prejudice the civil and religious rights of existing non-Jewish communities in Palestine.” This means that the Palestinians, who were 90% of the population at that time, were to have their rights protected – but this has not yet been achieved, there has not been equality of support for the Palestinians. Jewish historian Avi Shlaim says, “Britain, the pre-eminent power in the region in the first half of the 20th century, was no friend of the Palestinians and it is still no friend today… duplicity and double dealing were the hallmarks of British policy towards Palestine from the beginning.” So to simply celebrate the establishment of the State of Israel is to ignore the rights of the Palestinian people. What should be our response? 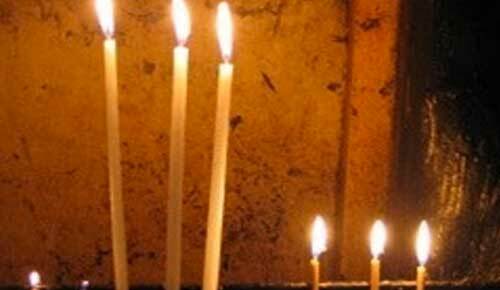 Let's listen to the voices of Christians from Palestine – these are edited words from a letter by the National Coalition of Christian Organisations and Churches in Palestine – from Jerusalem, Gaza and Bethlehem – to the World Council of Churches. "We are still suffering because of one political declaration from a Western Empire, based on a twisted theological premise. "A hundred years later with thousands of lives lost, towns and villages razed from the face of the earth – millions of refugees, thousands of homes demolished and continued incarceration of prisoners, our Nakba (catastrophe) goes on. There is still no justice in our land! 1.That you call things as they are - recognizing Israel as an apartheid state in terms of international law and in agreement with what Desmond Tutu said and as the UN Economic and Social commission for Western Asia report said: “Israel is guilty of imposing an apartheid regime on the Palestinian people”. 2.That you unequivocally condemn the Balfour Declaration as unjust, and that you demand from the UK that it asks forgiveness from the Palestinian people and compensates for the losses. We ask that churches and Christians support the Palestinians in their request for justice. "We are on the verge of a catastrophic collapse. The current status-quo is unsustainable. This could be our last chance to achieve a just peace. As a Palestinian Christian community, this could be our last opportunity to save the Christian presence in this land. “We are hard pressed on every side, but not crushed; perplexed, but not in despair; persecuted, but not abandoned; struck down, but not destroyed. (2 Cor. 4:8-9) "
Amos Trust have organised a 2000 mile walk from London to Jerusalem - Just Walk to Jerusalem - to mark the centenary of the Balfour Declaration and the 50 years of military occupation of the Palestinian Territories; the walkers left London on the 10th of June and will be walking through the West Bank into Jerusalem on the 2nd November, ending their walk as they join us for an event at St George's Anglican Cathedral in East Jerusalem. I think it will be very moving as they finally reach Jerusalem - the Just Walk is a prophetic act in itself to remind people of the Balfour Declaration. 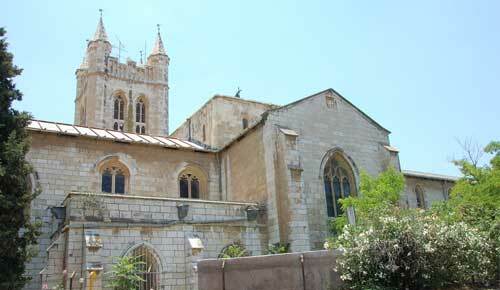 I have prepared a liturgy for St. George's Anglican Cathedral in East Jerusalem which we will use there on the evening of November 2nd, which I will do with Dean Hosam Naoum, to pray particularly for the forgotten and ignored Palestinians. The establishment of the State of Israel has meant the Palestinians suffered the Nakba, or catastrophe, in 1948; 750,000 refugees were driven from their homes, and they have never been allowed to go back. So today Palestinians are refugees even in their own country, they are refugees in Gaza, in the West Bank, in refugee camps in Lebanon and Jordan; you may remember the Syrian camp of Yarmouk where they were brutally treated under siege and then under attack; many of them have got out now to other countries. So - the largest refugee group in the world are still wandering, and still looking for redress. They have suffered massacres, brutality, occupation, and siege. Look at Gaza. It has experienced extraordinary brutality. It is almost inconceivable that the world has allowed them to be under such an offensive siege for the last ten years without insisting on their freedom. The Prime Minister says she wants to celebrate but I think in order to treat the situation properly we need there also to be an act of penance, an asking of forgiveness, and a recognition that the only way forward is to treat both Israelis and Palestinians with equal rights. This is something that the church can lead the way in. We understand forgiveness and penance and we understand going out to change our ways and to show our repentance in action. The Balfour Liturgy contains prayers, songs for peace, prayers for justice and equality, here is a prayer of repentance and hope. in which Palestinians have been devalued and mistreated. to implement the second part of the Balfour Declaration. and human rights of the Palestinian people. that treats them as equal human beings. will support Israelis and give them peace also. with the dignity and humanity with which we should treat all people. This following affirmation is part of the Balfour Liturgy. As well as in the Cathedral, it will be read at a short event in Banksy’s Walled Off Hotel earlier in the day on the 2nd November, beside his Balfour Museum exhibit. It is time to treat all people equally. with equal human rights for every community. It is time to recognize the failure to support the Palestinian people. they have experienced - and to make amends. It is time for fresh vision, for justice and for action. Can I encourage you to do something in your church around the 2nd of November – perhaps Sunday the 5th. You could use the Balfour liturgy that I have produced – available for download here and do read a section from the Christians call as well... they long for us to speak up on this issue. when all the inhabitants of the Holy Land will know liberation and therefore know hope. And we ask that past failures will not hold them back. as those created by you in your image. neighbours will no longer live in fear of one another. will be able to celebrate their freedom and security. who is able to lift us from the valley of despair to the bright mountaintop of hope. 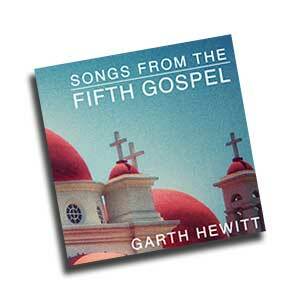 Songs From the Fifth Gospel is a double CD collection of those of Garth's songs which have been written while he was in the Holy Land, or inspired by the people of the Holy Land.